GenRe, a subsidiary of Berkshire Hathaway, Inc., is a holding company for global reinsurance and related risk assessment, risk transfer, and risk management operations. 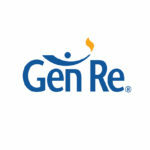 GenRe is one of the four largest reinsurers worldwide. In addition to being the market leader in the United States, GenRe is represented in all major reinsurance markets through a global network of 70 locations, supported by over 2,700 employees worldwide. GenRe came to SNI requesting a customized negotiations training program called “Negotiating in Our World” to help its Marketers and Underwriters to provide participants with a common negotiation language and systematic approach. Over two years, SNI trained 500+ Marketers and Underwriters on five continents who negotiated five deals per day at an average size of $1,000 – $50,000 per deal. SNI met the challenge of presenting culturally relevant material to a geographically diverse audience, and designed a program that addressed specific negotiation challenges at GenRe. The success of the initial negotiations training programs prompted GenRe to engage SNI to work with 50+ Senior Vice Presidents of Finance who worked on five deals per year with an average size of $2 million. SNI also created customized programming for both Marketing/Underwriting and Finance that included developing short-term and long-term deal preparation tools. Additionally, SNI went on to train multinational divisions of GenRe on influencing. The GenRe team now utilizes a consistent process for negotiation across the world. Deal teams are able to collaborate effectively across continents and the negotiations training is now part of the core curriculum for all Marketers and Underwriters.